Caregivers working with homecare clients that have been diagnosed with arthritis symptoms are not only tasked with ensuring that activities of daily living are completed, but also must take steps to help manage the discomfort associated with arthritis. 1. Prolonged standing: Standing for a long period of time can place excessive pressure on the inflamed joints of seniors with arthritis. 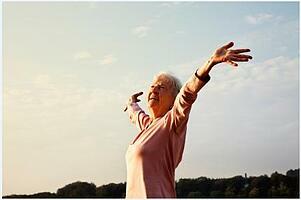 Professional elder care providers should help seniors avoid standing for long periods of time. Agency administrators can provide reminders by noting tasks in your agency’s home care software or home care system. For example, encouraging seniors to sit on the bed while getting dressed, or taking along a walker with a seating area on errands can help ensure that arthritic joints get the rest they need. 2. Remaining in one position: Like standing, staying in one spot for too long may cause seniors with arthritis symptoms to become stiff and sore. Create tasks in your home care software or home care system care logs to remind caregivers to encourage seniors to shift positions often while watching television, playing games or reading. 3. Strenuous exercise: While exercise and stretching are important to help manage arthritis symptoms, caregivers should be careful to allow seniors to take part in overly strenuous activity. Gentle stretching and light walks are ideal activities for people with arthritis symptoms, however, heavy lifting or continuing when seniors complain of pain can cause further problems. If an exercise routine has been established by a doctor or physical therapist, note the routine in your agency’s home care software or home care system, like ClearCare to keep caregivers up to speed. 4. Overuse of hands: People with arthritis symptoms often have inflammation, swelling and tenderness present in their hands. In order to help manage hand pain, in home caregivers should help seniors with activities that require making a fist, such as cutting food for meal prep, or pinching motions between the thumb and forefinger, like buttoning shirts. A home care system or home care software can help your caregivers manage tasks that may cause additional pain. By mitigating these activities, seniors with arthritis symptoms will benefit from less pain thanks to the assistance of their caregiver. And, with a home care system or home care software like ClearCare, family members and other members of a senior’s care team can keep up to date on the progression of arthritis symptoms and their management.